As several of the group were artists, the other major activity at McBeatsome was painting and the interior of the hut would be festooned with drying oil paintings. 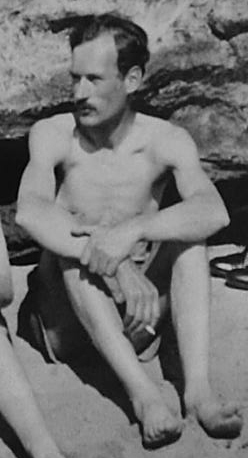 The youngest member of the group, a protege of the McCullochs, was a teenaged Arthur Boyd. Unfortunately for us, while Harold enjoyed art he was no critic. “Arthur was just a kid” he said “We used his paintings to clean the frying pan! Wilfred was the future great artist!”. Others were more discriminating though, and one surviving painting of Arthur’s from this period is of Harold on the beach at McBeatsome wearing red. 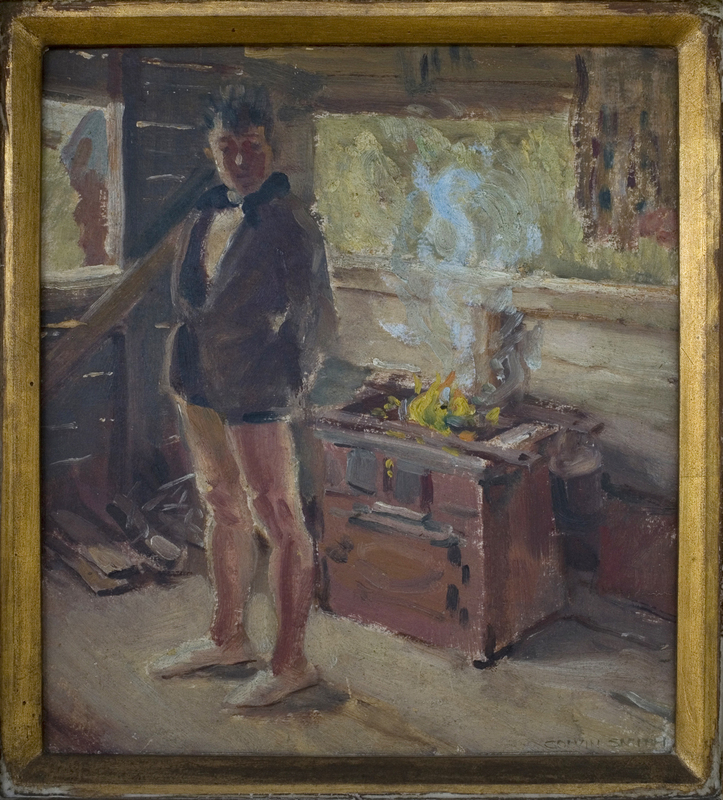 Harold was bemused but proud to find their camp written up in later years as “The last of the artist’s camps” (2) and pleased to be remembered in a biography of Arthur Boyd as (among other things) “an avid collector of painters and other eccentric friends” (4). As it happens, Harold and Arthur were the last to visit the camp. 7 April 1941 Harold was devastated by the death of his beloved 3 year old son David from Leukemia. 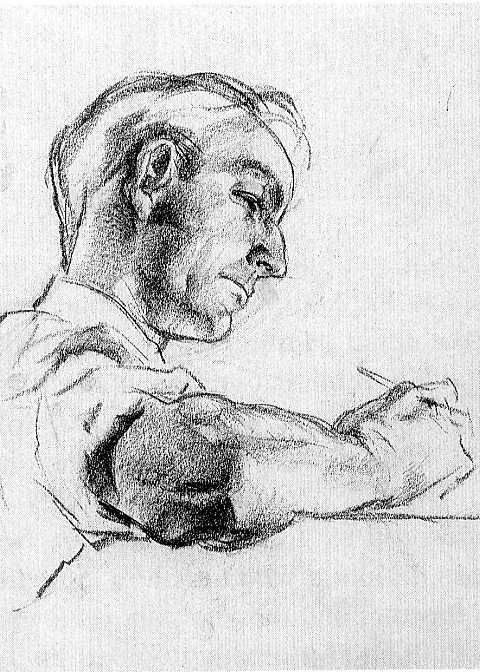 Sometime after this he ran into Arthur who (HAP said) was depressed because his recent exhibition hadn’t been very successful, was unconfident of his talent and doubting that he could make a career of art. HAP suggested they try to cheer themselves up by going down to McBeatsome, which they did. Arthur’s painting had changed from the impressionistic style that Harold loved, and he asked if, as a favour, Arthur could do a painting at McBeatsome in his old style. Arthur didn’t think he’d be able to, but said “I’ll tell you what Harold, I’ll paint your portrait”. HAP liked the resulting painting and, as usual they “tacked it to the wall of the shack to dry”. When Harold next visited the site some thirteen years later, it was difficult to work out where the shack had been. The area had been used by the Army for training, and the shack must have been a tempting artillery target. Christesen says “Harold Beatty returned some years after the War and found still standing a post gay with years of palette scrapings”(2) Needless to say, there was no sign of his portrait by Arthur Boyd, whose talent by then was rather beyond doubt! 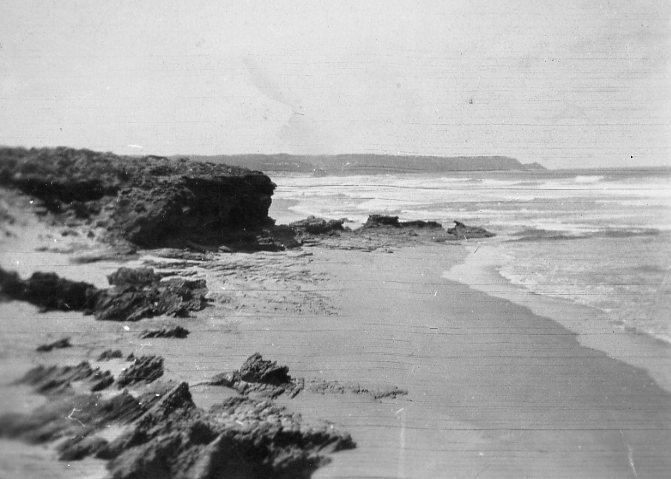 “McBeatsome” at Rye Back Beach, c1940, Cape Schanck in the background. The Second World War broke up the camp. Donald Town joined the RAAF and after the War Harold lost touch with him. In 1938 Victor Ransome had married Barbara Willan, fondly remembered by Cyril Muskett from that time as “a cuddlesome redhead”. She had earlier been romantically involved with Wilfred whose wedding present to his friends was naturally a Wilfred McCulloch painting. Victor enlisted in the RAAF early in the War and served in New Guinea as ground crew in a Catalina squadron ending up as a Flight Lieutenant (5) Cyril Muskett, who was English, had sailed to Europe for his honeymoon in March 1939 after marrying Sheenagh Page. The marriage didn’t last and Cyril was in London as an Air Raid Warden during the Blitz before returning to Australia. Harold and Alan were both rejected for military service. 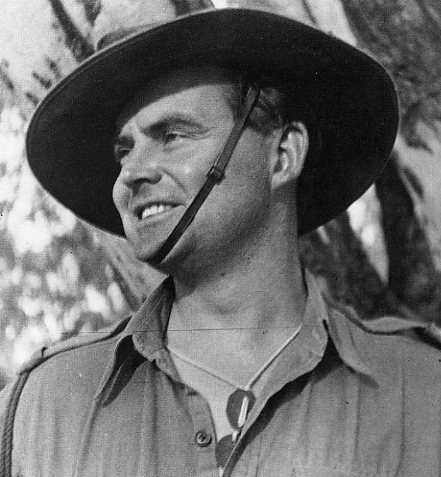 Wilfred McCulloch was a pacifist, but volunteered as a stretcher bearer with the AIF. He was posted as Missing in Action, though confirmation of his death (10 February 1942) during the Fall of Singapore was not received for a couple of years. Both of the McCulloch brothers were gentle, loveable, talented and larger than life, but everybody (and not only women) seemed to especially love Wilfred. Cyril Muskett tried to capture his charisma: “When Wilfred looked at you, you felt like the most important person in the World”. Harold felt Wilfred’s loss keenly, treasured his paintings, and occasionally revisited McBeatsome. Alan though, despite HAP’s blandishments over the years, and despite living only a few miles away, never could bear to return to the scene of their carefree days. The whole stretch of ocean beach on Mornington Peninsula between Rye Back Beach and Cape Schanck has since been opened up to the public. 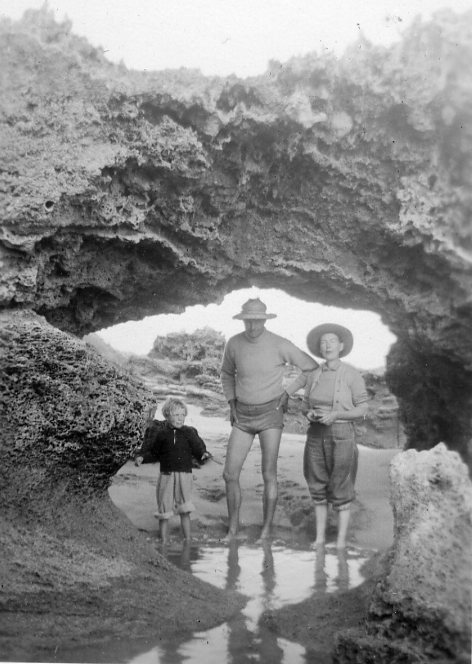 I think the camp was at the western end of what is now Gunnamatta Beach somewhere east of what is now called Boag Rocks. 2. Clem Christesen “Arthur Boyd and the last of the artist’s camps” Broadsheet of the Contemporary Art Society of NSW, Oct 1963. 3. 1930s rough draft of verse by Alan McCulloch. Well researched (and remembered) sister Sue. I only visited Mcbeatsome Town once with Hap when quite young. The stove, scraps of iron and some wooden posts were all that remained. I couldn’t even identify the site clearly on Google satellite, but from private land we crossed a small creek that ran beside some large sand dunes. Those inland to the northeast of Boag rocks are probably the ones where they held the “cliff leaping” competitions. 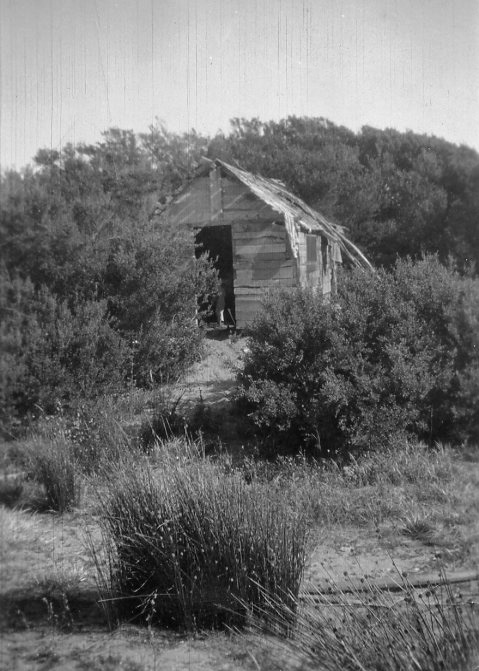 That would place the shack somewhere inland from the Boag rocks access car park. Cyril once told me that he and some others, Hap? Victor? returned during the war years and were almost arrested as enemy agents! A special hello to Susan – whose wonderful talented father Alan I never managed to defeat at chess as a boy, despite many courageous but foolhardy attempts! Thank you. I am Donald Town’s granddaughter and enjoyed reading some snippets about his adventures. I can tell you that he did return to painting after the war. Many of them hang from the walls of our homes. Great to hear from you Liz. I think Harold and Donald lost touch after the War so I was relying on one of the sources mentioned. I’d better change the bit about him giving up painting! Thanks Katherine, It’s really nice to hear from you both as I didn’t have a contact from your family. Did he have any stories about the camp?